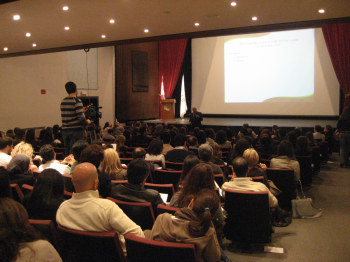 As part of its “Keep Learning” alumni lectures program, the Alumni Relations Office organized two lectures titled: “Relationships: Managing Life Partnerships” Part I and Part II, on Friday January 21 and Friday February 25, 2011 at Irwin Hall Theater. Both lectures were presented by Dr. Raed Mohsen, specialized in human communication and marital and family therapy and currently Dean of Students at LAU Beirut. An audiance of more than 430 alumni and friends attended both lectures.